I hear myself saying to my daughter for what feels like the sixty-fourth time today, “You need to practice. The more you practice, the better you’ll get”. I stop in my tracks and listen. The voice in my head says, “Dear Hannah, YOU need to take your own advice”. 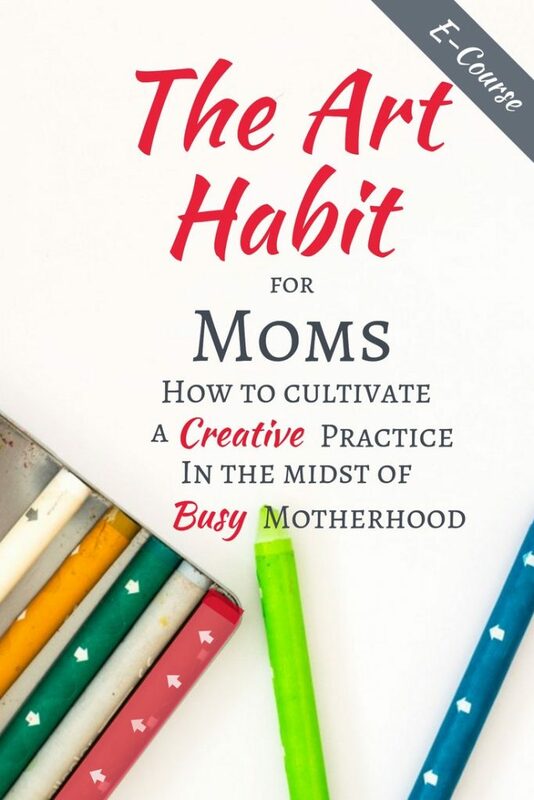 As moms, we encourage our kids to find what they love and do our best to help make their goals and ambitions a daily priority. We shuttle them to classes and wouldn’t dream of missing a practice. We quickly forget that we need to make our passions a priority too. But, life’s responsibilities always seem to pile up, don’t they? There are so many needs to be met, urgencies to attend to. 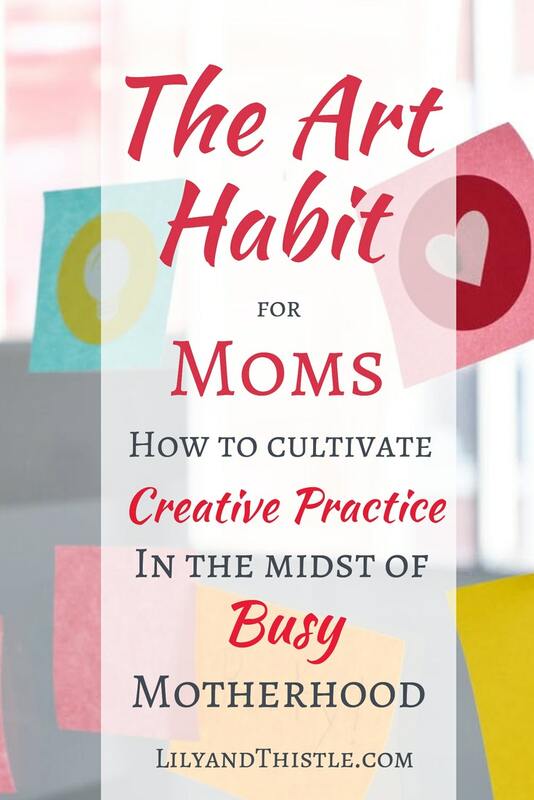 Art and creativity usually end up at the bottom of the list of daily to-dos; sitting in the dust of all of the should-dos. For years I’ve dreamed of becoming a better artist. Pinning images that inspire me, signing up for art classes online and purchasing (probably too many) art supplies in the hope that someday, someday I will get back to art in a real way. So, I decided to put art back on my priority list…somewhere near the top. I’ve started slowly but surely bringing art back into my life. I have made art a habit. And can I tell you? It has transformed our lives over here (I say ours because it has changed more than just me)! I am getting better, learning new skills, not worrying about perfection, just progress. My patience for myself has surprised me. It’s way more than I had as an art student years ago. Having an art practice truly inspires me to enjoy the now, enabling me to be more patient with my kids and more present for my husband. I feel a new confidence, almost like I have a part of myself back again. And my kids? They have followed my example, constantly creating and finding their own confidence and joy in the process. So, what about you? Do you have a dream of becoming better at a specific art or craft? Does art fill you up in all of the best ways? Do you long for time to practice it? 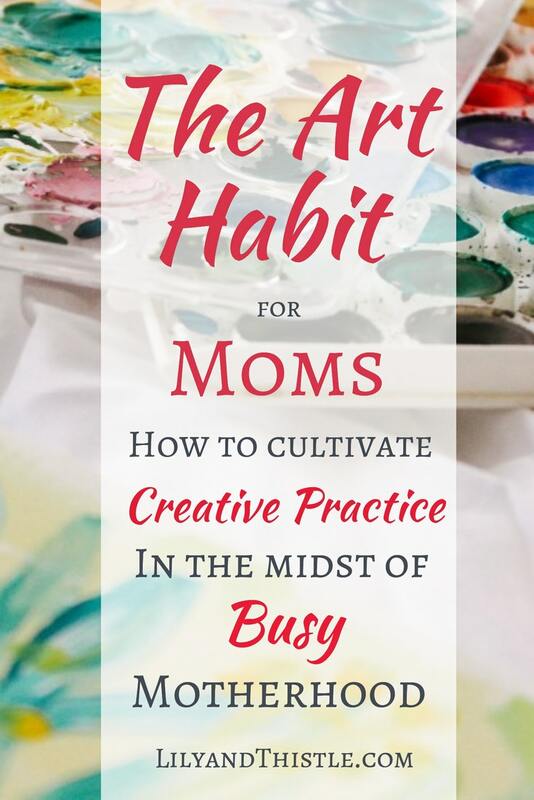 My art habit has made such a difference for me that I get pretty passionate about encouraging other moms to do it too. Sometimes that passion is awkward in real life :). 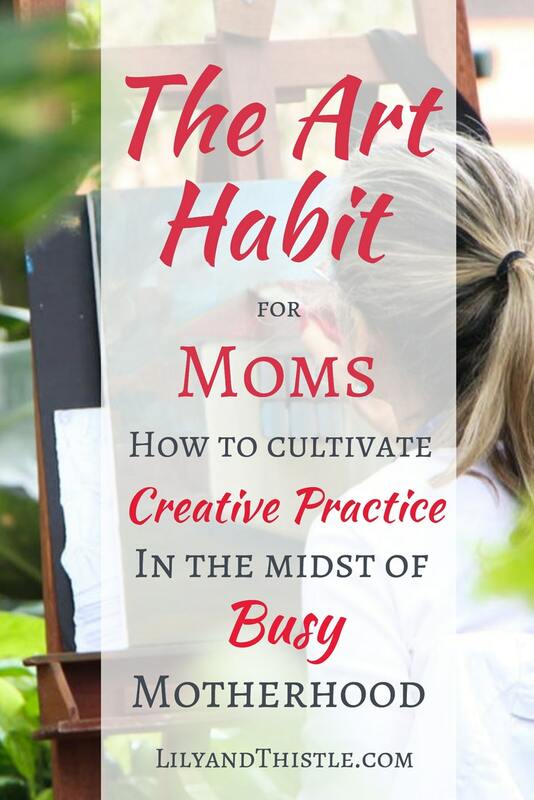 So, I created this blog and then I created the e-course, The Art Habit for Moms. For a limited time, it’s FREE! You can find it in the Resource Library (if you don’t have access yet, just follow the link and sign up below). I had you in my mind’s eye as I was making it. 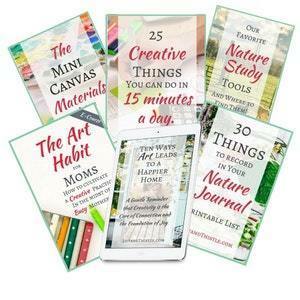 I want to show you in a short and practical way, how bringing art back into your life will bring you more joy and connection with those you love most! 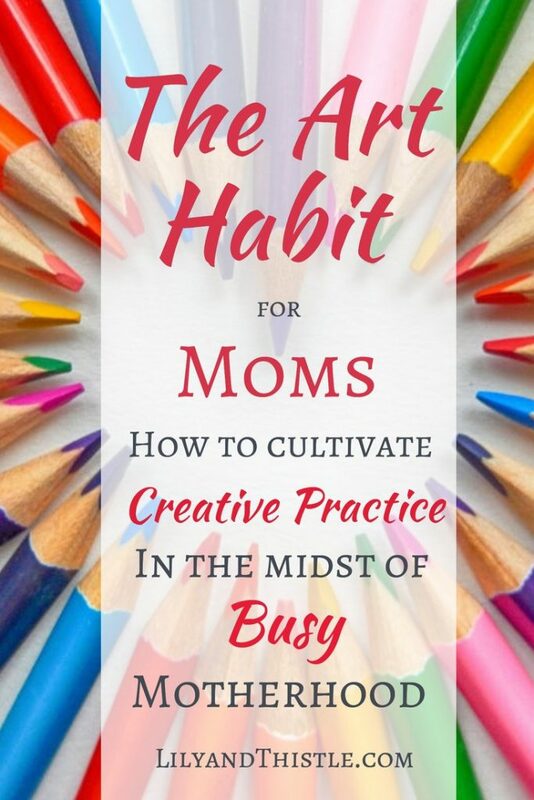 So, please accept my free gift and sign up for The Art Habit for Moms today!